At this very moment last year, Laker fans were sure their team was going beat the crap out of the entire league. Instead, their team ended up being a total bust, and the season was a nightmare. Now, just the thought of the NBA season starting up has me rolling my eyes. The Lakers are still coached by the same dumb schmuck that ruined their season last year, Mike D’Antoni, and their lineup is a mess. I’m sure many of you are thrilled that Dwight Howard is gone, but in the short-term, things are going to much much worse. Let’s start with the biggest problem: health. 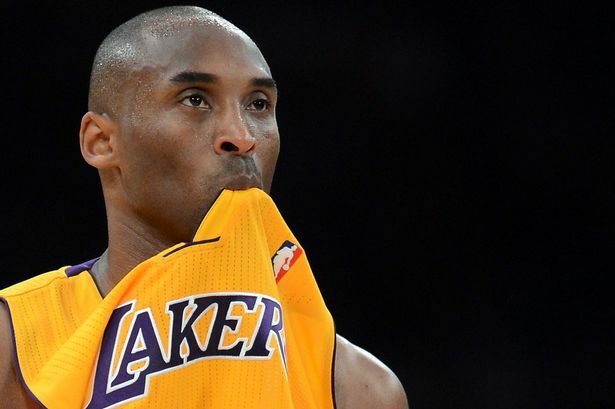 Kobe Bryant still has no idea when he will be returning. Earlier this week, Kobe said he had to scale back his conditioning activity to give his surgically repaired achilles tendon more time to recover. There’s no doubt that Kobe will be back on the floor at some point this season, but the question is what type of player he will be. If he’s anything less than the Kobe we saw last season, that won’t be good enough for the Lakers, or for Kobe. Then there’s Steve Nash, who’s teammates are very concerned about his health. Nash was plagued by injuries last season. He’s now 40 years old, and he’s been suffering from ankle and neck soreness in the preseason. D’Antoni said that Nash will be starting the season opener against the Clippers on Tuesday, but may sit out the following night against Golden State, to preserve his aging star. Nash’s injuries are making him look more and more ineffective by the day, and with another two seasons and $18 million left on his contract, he’s quickly becoming a horrible deal. Even if the Lakers can overcome their health issues, they’ll have to rely on some very questionable role players to say the least. Shawne Williams will likely be the starting power forward, Nick Young will be the starting small forward, and Wesley Johnson will playing major minutes as well. All of them are NBA journeyman, who cannot be relied upon to play 30 minutes a night in the NBA. Chris Kaman has shown some decent chemistry with Pau Gasol during the pre-season, but you can guarantee he’s going to get hurt like he usually does. Jordan Farmar has shown some promise as well, but he’ll likely be the same up and down player he was in his last stint with the team. The irony of it all is that the Lakers put together a nice 28-12 run at the end of last season to make the playoffs. This was done by slowing the pace of the game down, pounding it into the post, which ultimately led to playing better defense. For some reason, Mike D’Antoni decided it would be a good idea to go back to his run-and-gun, who-gives-a-crap about defense style of play, which will doom the Lakers this season. Yes, the team is finally younger and more athletic with the likes of Farmar, Young, and Williams. However, they are also far less talented, and even worse defensively. Don’t expect a fast start either folks. The Lakers first 10 games are against the Clippers, Warriors, Spurs, Hawks, Mavericks, Rockets, Minnesota, New Orleans twice, and Denver. Without Kobe, they’ll be lucky to win 5 of those 10. 1. San Antonio Spurs – They are old, but they’ll still be in the mix for the top spot. Coach Greg Popovich knows how to get his aging stars enough rest, while pushing them hard enough at the right moments. 2. LA Clippers – The Clipps will be better coached this year, and have some better role players around CP3. They’ll also benefit from a few teams in the West who have taken a step back. The big question: how much has Blake Griffin improved? The Clipps will go as far as he takes them. 3. Oklahoma City Thunder – These guys still have two of the most dynamic players in the game in Durant and Westbrook. However, they lost Kevin Martin, and their cheapskate owner, Clay Bennett, is preventing them from retaining key pieces that could put them over the top. 4. Houston Rockets – Led by the dynamic duo of Dwight Howard and James Harden, the Rockets have vaulted themselves into the upper half of the Western Conference. The question is, will Dwight fit in with the Rockets pick and roll heavy offense? Will he make free throws? Will be cry like a little girl if things don’t go his way? 5. Golden State Warriors – Adding Andre Iguodola will help the Warriors perimeter defense, and also help their already great outside shooting. If Steph Curry and Andrew Bogut can stay healthy, they’ll be right back in the thick of the West playoff race. 6. Memphis Grizzlies – The loss of Lionel Hollins is big. The Grizz also got exposed by the Spurs last year. 7. Denver Nuggets – New coach. Loss of Iguodola. Temporary set back. 8. Dallas Mavericks – They settled for a lot of 2nd tier free agents, but Monta Ellis and Dirk Nowitzki might be enough fire power to get back to the playoffs. 9. Minnesota Timberwolves – Lots of talent, but they’ve never been able to stay healthy long enough to make the playoffs. 10. LA Lakers – No Kobe for an extended period, and this team is lottery bound. 11. New Orleans Pelicans – Good young talent, but how will the mesh? 13. Sacramento Kings – Will all these lottery picks eventually pay off? 1. Miami Heat – Lebron and the Heat still own the world until somebody knocks them off. But 4 straight trips to the NBA finals is tough for any team. 2. Indiana Pacers- They are knocking on the door. 3. Chicago Bulls – Rose is back and looking great, but do they have enough talent around him to come out of the East? 4. Brooklyn Nets – Could be a playoff sleeper. How much do Garnett and Pierce have left in the tank? 5. New York Knicks – Big year for Carmelo, especially if he plans on staying in NY after this year. 6. Detroit Pistons – Much improved with Josh Smith and Brandon Jennings. 7. Washington Wizards – Playoff team if they stay healthy. 8. Boston Celtics – They aren’t quite as bad as they think. 9. Cleveland Cavaliers – If Kyrie Irving could stay healthy, along with Andrew Bynum, maybe they finally live up to the hype. 10. Toronto Raptors – Strong finish to last season, but can they build on it? 11. Atlanta Hawks – They lost their best player in Josh Smith, and didn’t add much else. 12. Milwaukee Bucks – They lose Ellis and Jennings. Does this team even know what direction they are going in? 15. Philadelphia 76ers – Strong favorites to win the Andrew Wiggins sweepstakes. NBA Finals Prediction : Indiana Pacers over the San Antonio Spurs in 6 games. This entry was posted in Lakers on October 27, 2013 by omzzzzz.